Happy Chinese New Year Eve! Being Chinese myself, it's important to celebrate the traditional holidays, which means food, more food and a lot more food. There is also the tradition of not working on Chinese New Year Day (otherwise you'll end up working too hard for the rest of the year), and so with that in mind and a food hangover, what a perfect time to go on a streaming binge! So let's take a look at what has been happening on Stan this past week. Don't forget that if you need to preview what's going to be added for the entire month of February on Stan, you can always head here to our monthly preview article. What perfect timing for two complete series to land themselves on Stan, and even more perfect from a personal perspective is that they're both in my top 10 favourite series of all time. 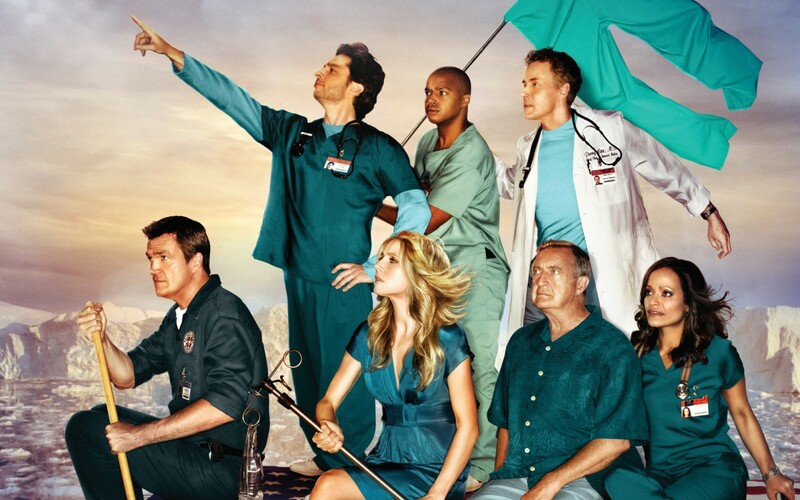 There is the medical comedy/drama Scrubs, always a go-to for me when I need a pick-me-up. Except for the godawful season 9. And then there's Lost, a series I'm currently streaming my way through on Hulu, but now that it's on Stan, I can give my VPN a rest. But if you're not like me and after something new, then Chris Pine's new series I Am The Night looks like it has the credentials to be a big hit. A secret past, an unsolved murder and the underbelly of Hollywood will all be examined in this mystery drama series from Wonder Woman director Patty Jenkins. Make sure to also check out British comedy mini-series Stag and the fourth season of Black Sails. Before director M. Night Shyamalan turned good again ('Split'), after turning bad (for a really long time), he was quite excellent and dubbed the next Spielberg. The Sixth Sense is where he started to shine, and there were no signs of his career hitting bottom ('The Last Airbender') in the largely enjoyable Signs. Let's hope he doesn't turn bad again. There are a few movies that everyone should watch, no matter from which decade they're from. The ones I am about to mention aren't on that list, but they're still movies that I suggest you might want to try if you're after a political crime thriller (Gorky Park); a military thriller with submarines (Crimson Tide); '80s movies about shady salesman (Cadillac Man); and a movie with a memorable bar scene (Coyote Ugly). YMMV.